CanGEA is looking for a business-oriented professional with a basic appreciation of geosciences who can apply skills in operations management and communication. The candidate must be highly motivated to lead operation roles as well as create their own initiatives to further enhance CanGEA’s business development and overall performance. The Operations Manager will work with CanGEA’s Policy Director, whilst proactively pursuing self-led initiatives related to developing geothermal business opportunities for CanGEA. The Operations Manager position will offer the selected candidate the opportunity to gain direct industry experience as well as experience in other areas such as web design, business writing and the creation of technical materials for members and the general public. Renewable energy resources — which include geothermal, hydropower, biomass, solar and wind — accounted for 25% of the country’s power generation mix. Renewable energy-based facilities generated 23.19 million megawatt-hours (MWh) in 2017, up by 5.5% from 2016’s 21.98 million MWh. Geothermal generated 10.27 million MWh in 2017, topping the list of renewables. Bolivia's government plans to drastically reduce the use of natural gas for electricity generation in favor of renewables, freeing up more gas for export. The country added hundreds of megawatts in new renewable energy plants in the past 12 months and work is underway on nearly 1,500 MW in hydroelectric plants, geothermal installations, solar plants and wind farms. 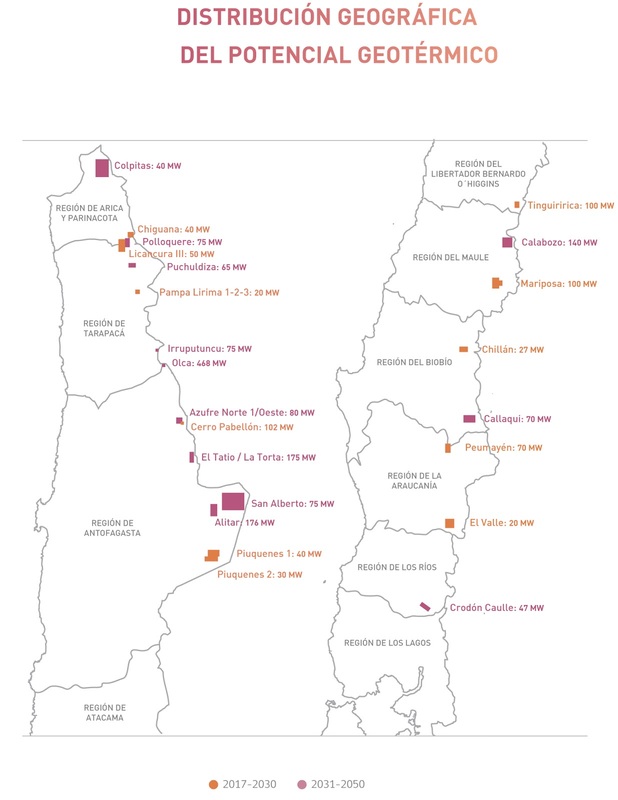 Also in the works is the 105 MW Laguna Colorada geothermal plant in Potosi. The plan includes construction of a 5 MW pilot plant that will then be used to provide electricity for the subsequent stages. "Geothermal energy is something that has been studied here for years, because it is very feasible to develop in Bolivia. We think it is an important option for changing the energy matrix," said deputy energy minister Bismar Canelas. Kenya stands tall among African countries as far as geothermal energy is concerned, with a capacity of 600 megawatts (MW) as of 2017. Geothermal could prove to be a promising source of renewable energy for Kenya. The country has a vast geothermal potential along the world-famous East African Rift valley that transects the country from north to south. According to KenGen, which generates most of Kenya’s electricity, geothermal technology has a potential of more than 10GW in the country. The technology also has the lowest unit cost and is suitable for base-load application. The Icelandic power company ON Power (Orka náttúrunnar) will begin the production of hydrogen at the end of August, as part of a European project, Morgunblaðið reports. 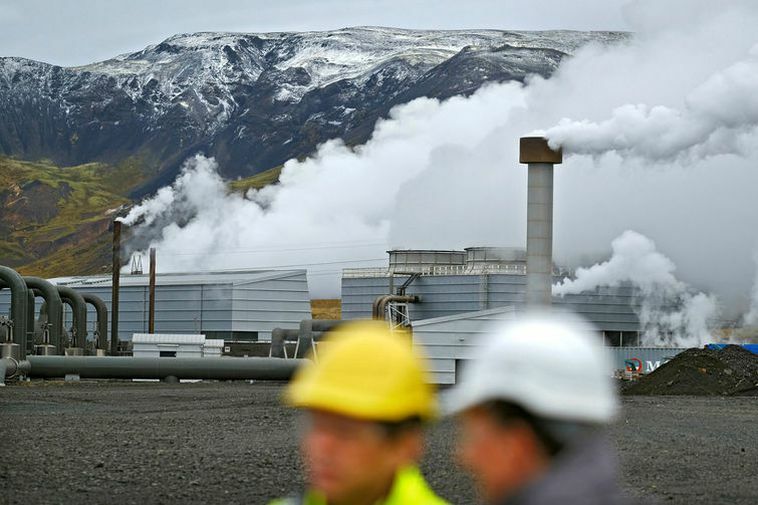 An electrolyzer has been purchased and is being installed next to Hellisheiði Geothermal Power Plant in Southwest Iceland. Sale of hydrogen for vehicles could begin as early as October. Two other Icelandic companies, Orkan, owned by Skeljungur hf., and Icelandic New Energy, participate in the project. Orkan opened two hydrogen stations earlier this summer. Bjarni Már Júlíusson, CEO of ON Power, states that the idea is to produce the hydrogen by the geothermal power plant and to distribute it in bottles to prevent any loss in transport. The hydrogen will be produced at one location and delivered at two to three stations. GPC Instrumentation Process (GPC IP) scored this year a new success and milestone in smart well architecture. On July 20, GPC IP successfully completed a new anti-corrosion, fiberglass lined, production well at the Bonneuil-sur-Marne (Paris southern outskirts) geothermal district heating (GDH) site operated by SETBO, the local, city managed, heating company. The 2,020 m deep -38° slanted, well combines a large (20" X 13"3/8) steel cased propping column and a twin (13"3/8 X 9"5/8) fiberglass production liner assembly, the casing x liner annulus being kept free (i.e. not cemented), a design initiated in 1985 on the emblematic Melun l’Almont GDH well GMA4, completed though via a simplified architecture (single 13"3/8 casing/9"5/8 fiberglass liner) and production (self-flowing) mode (P.Ungemach - 1994. A New Geothermal Well Concept. IGA News. Quat. 20; Jan. March 1995 pp.12-13). This former experience validated the fiberglass lining concept with respect to material aging (no fiberglass wheep nor destructuring), well integrity (no heavy duty workover and no acidizing so far), reduced maintenance (only one master valve change), well productive performance (artesian, non-sustained, 300 m3/h flowing rate under 2 bar wellhead pressure), in spite of below bubble point self-flowing production and related fluid degassing. 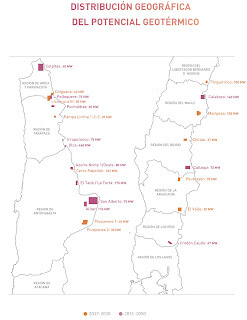 La tercera parte de este plan incluye la expansión de la central geotérmica Cerro Pabellón, la primera de su tipo en Sudamérica y la que opera a mayor altura a nivel mundial. Aquí a los 48 MW que ya están en operación, sumarán otros 30 MW de capacidad, lo que requerirá una inversión marginal, respecto de lo que ya ejecutaron allí. (From Google Translate) The third part of this plan includes the expansion of the Cerro Pabellón geothermal plant, the first of its kind in South America and the one that operates at the highest altitude worldwide. Here, another 30 MW of capacity will be added to the 48 MW that is already in operation, which will require a marginal investment, compared to what they have already executed there. PT Pertamina Geothermal Energy (PGE) Area Ulubelu berhasil melakukan uji produksi sumur berkapasitas 18,9 MW. Sumur yang mulai dibor pada tanggal 04 November 2017 dan selesai pada 8 Januari 2018 ini, memiliki kedalaman akhir 2212 MKU (meter kedalaman ukur). (From Google Translate) PT Pertamina Geothermal Energy (PGE) Ulubelu Area has successfully conducted a well production test measuring a capacity of 18.9 MW. The well, which was drilled on 4 November 2017 and completed on January 8, 2018, has a final depth of 2,212 meters. According to the PGE website the Ulubelu area is located at WKP Gunung Way Panas, Lampung Province. The Ulubelu area has 4 PLTP units operating commercially since 2012. Total installed capacity at present is 220 MW. We are thrilled to announce the 2018 Energy Policy Research Conference will be returning to our hometown and held at the Student Union Building of Boise State University! This year we will be adding a few new items to the agenda, including a Women in Energy reception and a student poster session. The Call for Paper Proposals was released in March. Be sure to join our mailing list to get important updates about the conference! The 2017 Energy Policy Research Conference – EPRC7 — was held September 7-8, 2017 in Park City, UT and was a great success! A big thank you to our Keynote Speaker, Lorenzo Kristov, our sponsors, and the fantastic presenters. Since 2011, the Energy Policy Research Conference has been bringing researchers together from across the nation and around the globe. To date, EPRC has been held in a number of different venues throughout the Western U.S., including Santa Fe, NM, Denver, CO, San Francisco, CA, Portland, OR, and Boise, ID! 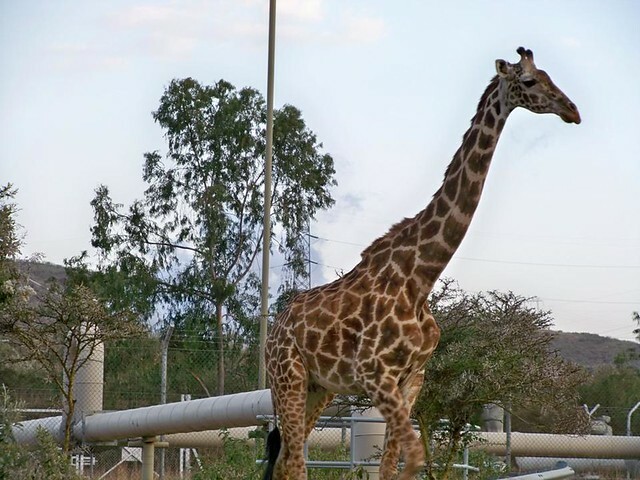 Next month, the Geothermal Development Company (GDC) will commence with the operation of drilling wells in Baringo County, in search of steam power. The company’s general manager in-charge of drilling and infrastructure, George Kinyanjui, said the first phase of the project at Baringo-Silali Block will be seeking to produce steam that can generate 300 MW of electricity to be injected into the national grid. According to Daily Nation, Kinyanjui said they have identified Paka, Silale and Korossi as prospect areas with each expected to generate more than 100 MW. 75 Days to go! Event Registration to Open Shortly! Nearly 1,000 attendees came to the 2017 GRC Annual Meeting and Expo from 35 different countries around the world, highlighting the GRC’s role in connecting the global community. With increasing interest in geothermal as a reliable source of renewable energy providing both flexible and baseload power production around the world, the GRC is looking ahead to an even stronger international attendance in 2018. Make your hotel room reservation........ Discount ends September 19th. Reserve your Expo booth.......... Make sure of a prime spot! Submit your best geothermal photos!........... Deadline for Photo Contest is August 24th. Golf Tournament - Registration now open! The Clean Energy Solutions Center, in partnership with National Renewable Energy Laboratory, is hosting a no-cost webinar on the Geothermal Resource Portfolio Optimization and Reporting Technique (GeoRePORT) System. 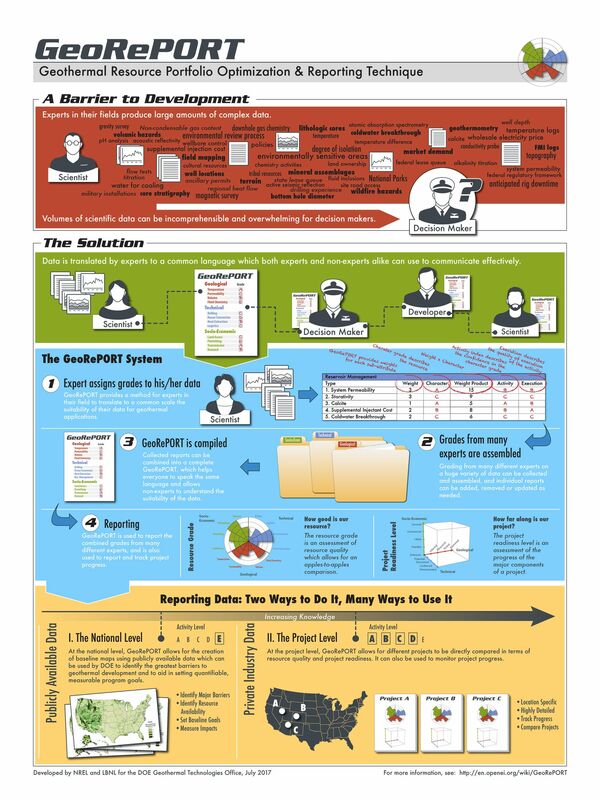 The GeoRePORT System is a resource and project assessment tool used to measure potential and guide development in the geothermal sector. Developed by the National Renewable Energy Laboratory for the U.S. Department of Energy (DOE), but applicable worldwide, the methodology assesses three categories of geothermal project development: geological, technical, and socioeconomic. The GeoRePORT System provides a process for objectively appraising project progress and resource grade in individual geothermal areas. The system also allows for broader analysis at the portfolio and countrywide assessments, and it was used in the recent DOE Geothermal Vision Study (GeoVision) to identify potential barriers to geothermal development in the United States. This webinar will give an overview of the GeoRePORT system, describing how the system can be used both to evaluate resource grade and project progress and to look at case histories of individual assessments and countrywide assessments. The webinar presentation will be followed by an interactive question and answer session with the audience. (From Google Translate) On Thursday, July 19, 2018, the Minister of Environment and Energy, Mr. George Stathakis, launched a draft law entitled "Research, exploitation and management of the geothermal potential of the country and other provisions" for public electronic consultation and invites all citizens and others to participate by submitting their proposals. Views and proposals submitted will be taken into account to improve the proposed arrangements. The public consultation will be completed on Thursday, 9 August 2018 at 15:00. AMSA, Inc. Mill Man Steel Inc.
Cooling Tower Depot Phoenix Geophysics Ltd.
Croll-Reynolds & Tsurumi Pump Pioneer Petrotech Services Inc.
Dewhurst Group, LLC POWER Engineers, Inc.
Geologica Geothermal Group Thermochem, Inc.
Iceland Geothermal Veizades & Associates, Inc. The United States Energy Association (USEA) is inviting prospective organizations or individuals through this Request for Proposal (RFP) to submit proposals for a consultancy on the development of a geothermal data management system for the Geological Survey of Ethiopia (GSE) and Ethiopia Electric Power (EEP) in Ethiopia. This is an activity implemented by USEA, funded by the United States Agency for International Development (USAID) as part of the Power Africa Initiative. As of December 31, 2017 the membership of the GRC stood at 1,176 including 217 student members. 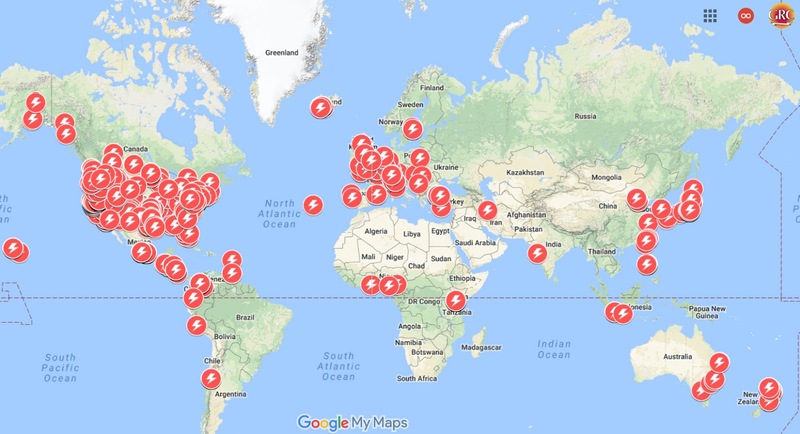 Membership is drawn from 44 countries around the world. International Geothermal Association (IGA) Membership - through the GRC's affiliation with the International Geothermal Association (IGA), all GRC Members are automatically members of the IGA, which offers discount registration to its World Geothermal Congress events (every 5 years), quarterly IGA News and a special discount rate for the international publication, Geothermics. 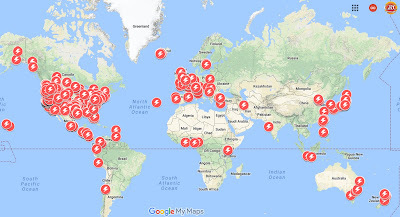 GRC Membership Roster and Registry of Geothermal Services & Equipment - a unique publication that provides business, consulting and research contacts throughout the international geothermal community. Additionally, GRC members receive a discount on advertising and exclusive first-access space consideration in all GRC publications. For more information about advertising, please contact Anh Lay at alay@geothermal.org. Josh Nordquist is the interim chair of the Geothermal Resources Council Policy Committee. Nevada’s state-of-the-art geothermal facilities are vital to ensuring that electricity demand is met, power bills are low, local communities prosper and Nevada’s economy and environment remain vibrant. Today, Nevada produces hundreds of megawatts from geothermal power plants and has the second-highest geothermal reserves in the nation, enabling it to easily bring online more low-cost, renewable resources. Right now, much of that potential languishes untapped while fossil fuels continue to flow. Question 6, a ballot measure sponsored by Nevadans for a Clean Energy Future, guarantees that 50 percent of the state’s power supply will come from renewable energy by 2030, helping to ensure that renewable electricity resources are fully utilized. The Policy Committee of the Geothermal Resources Council and the geothermal industry support Question 6. Currently, about 20 percent of the power in the state is renewable, while two-thirds of the electricity we consume comes from fossil fuels like natural gas, which costs us more than $700 million annually to pipe in from other states. Geothermal is a unique renewable resource that provides voltage regulation, flexible capacity and inertia, making the electrical grid reliable and stable. Geothermal enables greater amounts of wind and solar to come online, which is instrumental to achieving higher renewable requirements. No state is better positioned to increase its use of low-cost, indigenous renewable resources than the Silver State. The time is now for Nevada to approve Question 6, increase our reliance on renewables and transition away from a coal- and natural‐gas‐dominated electricity system. What does more geothermal development mean to you? Let’s stop ignoring what’s right below us and start thinking about the future. Whether you want cheaper power, a sustainable economic boom or cleaner air, there are plenty of reasons to vote “yes” on Question 6 in November. As a youth growing up in China, Guangdong Zhu—or GD, for short—often had electric power on his mind, perhaps because it wasn’t always a reliable commodity. As he grew older, he considered that his interest in math, science, and technology might be applied to the power grid. And in college, he gravitated toward thermal engineering, influenced in part by an older friend who worked as an engineer at a local coal-fired power plant. Guangdong’s bachelor’s degree from Northeast China Institute of Electric Power Engineering was followed by a master’s degree in thermal engineering from Xi'an Jiaotong University. Wanting to pursue more varied research topics at a high level, he applied to various U.S. universities, settling on a doctorate program in mechanical engineering at the University of New Mexico (UNM), where he received a full scholarship. In his dissertation research, GD modeled flow within rock formations, with the goal of helping sequester carbon dioxide from power plants by pumping supercritical CO2 into saline aquifers. 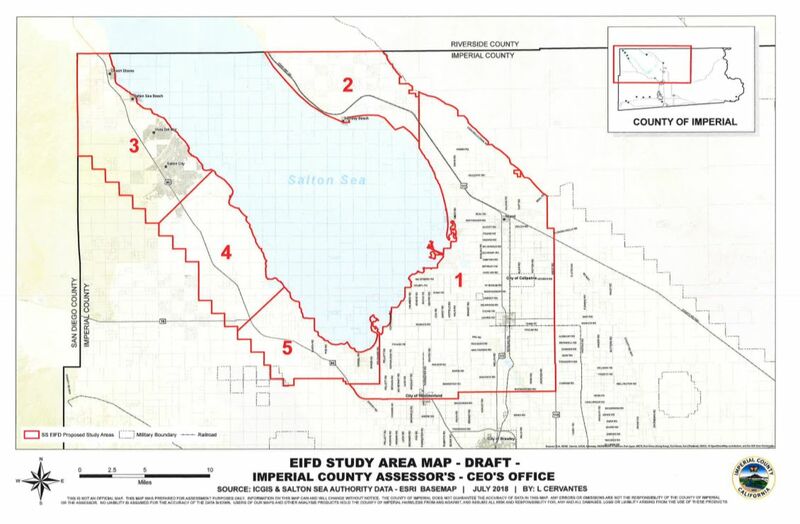 The next phase in exploring the possibility of creating an enhanced infrastructure finance district to fund improvements to the Salton Sea has begun. Proposed improvements include a $1.7 billion to $1.8 billion plan calling for substantial infrastructure to be built in incremental phases. The crown jewel of the plan to restore the Salton Sea is the concept of a perimeter lake – a 60-plus-mile-long channel that would allow boaters to traverse the majority of the Salton Sea from the New River tributary clockwise to Bombay Beach and back again. The channel created by the dredging crews would be separated from the main body of the Salton Sea by a large berm that would eventually encompass the entirety of the lake, except for a portion at the extreme southeastern point, east of where the New River flows into the body of water. This location has been set aside for the development of geothermal facilities and mineral extraction facilities. East Africa: What are the Unique Skills and Training Needed for Geothermal Development? The Rift Valley in East Africa is recorded to have about 15,000 MW of potential geothermal capacity. With Kenya at the leading edge – set to increase generation from 672 MW to 5,000 MW by 2030 – neighbouring Djibouti, Ethiopia and Tanzania have indicated ambitions to extend their geothermal energy profiles. The challenge however is centred on the lack of experienced geothermal operators and available training in Africa, which makes this development somewhat risky. The Big Question we asked the experts is: What are the unique skills and training needed for geothermal development and operation and how can this be achieved for Africa’s unique operations? According to Phyllis Gathoni Mathenge, Drilling engineer at Geothermal Development Company, Kenya is in a unique position to host such trainings as it has all aspects of geothermal development from green geothermal fields, geothermal fields under appraisal, exploration and production drilling, as well as geothermal developed fields and power plants. The Geothermal Roundtable of Chile was a request from the Geothermal Council of Chile through its Chairman Mr. Gonzalo Torres Macchiavello to the Ministry of Energy. It was financed by the ESMAP/World Bank and counted with the active participation of the industry, academia and social actors. The process consisted of 13 workshop sessions held during 2017 and the preparation of the final report took place in the first semester of 2018 which ended covering two successive Government Administrations (from different political wings). 34 entities attended represented by an average of 40 people per workshop. The Geothermal Roundtable focused on determining CAPEX, OPEX, modelling the insertion of the technology into Chile´s energy matrix, identifying barriers to entry and proposing Public Policies to provide incentives for geothermal development. Eastland Group’s Te Ahi O Maui geothermal power station, near Kawerau, is largely complete and will boost the company’s earnings by $10 million a year, says chief executive Matt Todd. The next stage is the commissioning of the power station, for which Eastland Group capitalised directly-attributable costs of $121 million in March 2018. Production from the plant, assuming a capacity of 25 MW, should be about 210 GWh a year. Die Stadtwerke München (SWM) vermelden nach dreimonatiger Bohrzeit am Heizkraftwerk Süd (HKW Süd) in München eine Thermalwasserfündigkeit von über 120 Liter pro Sekunde mit einer Temperatur von über 100 Grad Celsius. Die zweite Bohrung beginnt Ende Juli. (From Google Translate) Stadtwerke München (SWM) has announced that after three months of drilling at the South (HKW Süd) combined heat and power plant in Munich a source of thermal water flowing at more than 120 liters per second with a temperature of over 100 degrees Celsius has been reached. The second phase of drilling starts at the end of July. The Geothermal Drilling Manager position has overall responsibility for geothermal aspects on a project and requires both detailed and broad well engineering and operations knowledge including the ability to design wells for a wide range of well types and different operations. They will have direct project work in geothermal energy exploration, development and resource evaluation, specifically in the stages of design, specification, budgeting and reporting of drilling new production and injection wells, working-over existing wells or controlling production/injection wells. The July issue of the European Geothermal Energy Council (EGEC) Newsletter is now available. The Geothermal Resources Council (GRC) recently unified with the Geothermal Energy Association (GEA), the US trade association for commercial interests in geothermal electricity production, to strengthen our ability in advancing the science, education, and development of renewable geothermal energy resources. The GRC Policy Committee has been set up as a separate part of the GRC, independently funded by interested organizations, to advocate on behalf of the geothermal community. It has successfully held its first meeting with a well-attended conference call that touched on some current federal and state legislative affairs affecting the industry. The Policy Committee discussed the active Renewable Portfolio Standard and Energy Choice initiatives in Nevada, legislative activity in California, and federal efforts to streamline geothermal drilling. Discussions will continue to determine the GRC’s role in these issues. If you would like to join the next meeting of the Policy Committee, or learn more about their initiatives, then please contact Josh Nordquist (Chairman), Will Pettitt (Executive Director), or Anh Lay (Membership Services). James Faulds, the state geologist and director of the Nevada Bureau of Mines and Geology, said that he thought the Fallon [FORGE] team, which he was involved with, put forward a strong proposal. He said the Fallon site would have explored three rock types whereas the Utah site would only target one rock type. “We really thought we had the best project and best team,” he said. For everyone involved, the question has turned to what happens to years of research, development and initial exploration at the proposed lab site in Fallon. He said that it’s possible a private company could develop a geothermal power plant on the site. He added that there has already been some industry interest in using the team’s research to turn the site into a commercial project. “We know that the site is very suitable for [an enhanced geothermal project],” he said. Nathan Strong, who directs the Churchill Economic Development Authority, said that in addition to developing the Fallon site for a commercial project, there is still talk of conducting research there. Western Nevada College, he said, is interested in continuing work on the project. “There’s the potential to acquire money out there and kind of do our own thing,” Strong said. 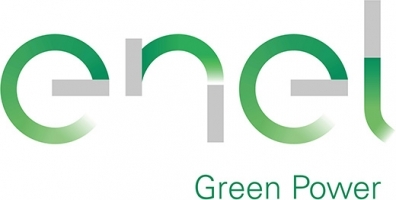 Italian utility Enel SpA produced 50,170 GWh power from renewable energy sources in the first half of 2018, up 25.4% year-on-year, according to its Quarterly Bulletin. In mid-2018, Enel had 804 MW of geothermal capacity consisting of 762 MW in Italy and 41 MW in South America (Chile), up 2.8% on the year. Net production of geothermal energy as of 2018 was 2,932 GWh, up 1.1% on last year. Under a Work for Others agreement, an Idaho National Laboratory (INL) team led by Dr. Robert Podgorney (a GRC Member) participated in the Utah FORGE work by building an earth model (a computer representation of the subsurface structure) and the reservoir model (a computational analysis of fluid flow through the structure), using commercial and INL codes. Assist in the implementation of updated geologic and geomechanics models. Supervise and coordinate development of the earth model. Coordinate and conduct Dynamic Reservoir Modeling activities that will inform drilling and stimulation of the production and injection wells. Dr. Robert Podgorney will present a number of papers on FORGE Research – Enabling EGS at the GRC Annual Meeting & Expo, from October 14-17 at the Peppermill Resort Spa and Casino in Reno, Nevada, USA. 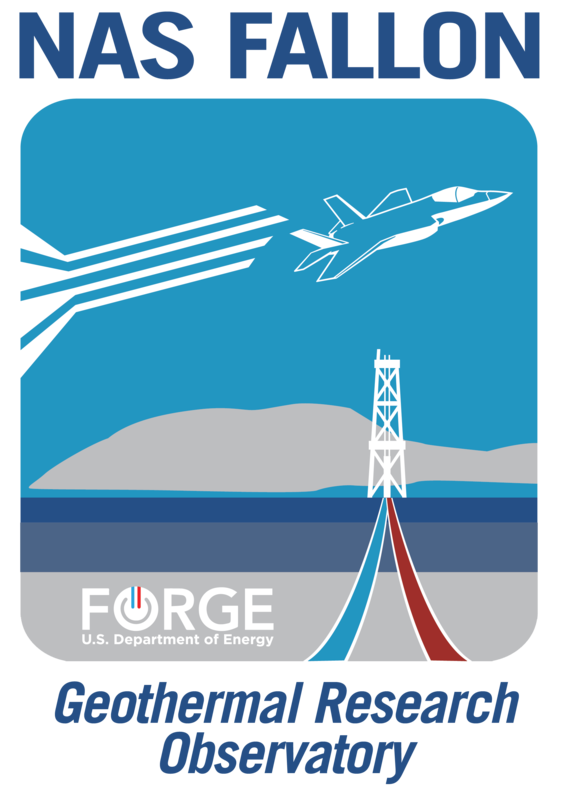 The Utah Governor’s Office of Economic Development (GOED) has approved an Industrial Assistance Fund, post-performance Economic Opportunity Grant for the amount of $365,000 for the Frontier Observatory for Research in Geothermal Energy (FORGE). The project will create 23 new jobs with an average full-time wage of $94,000 per year and a capital investment of more than $100 million. 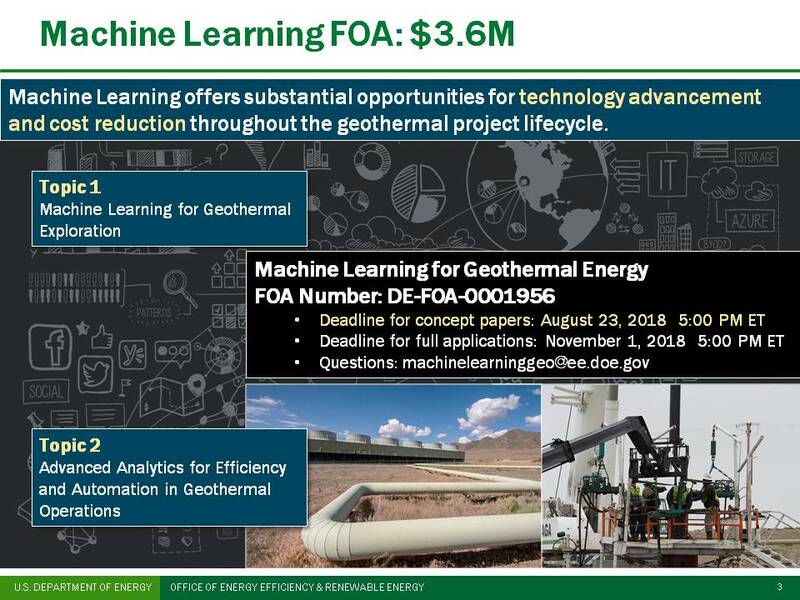 The U.S. Department of Energy announced in June that Utah was to receive up to $140 million in funding across five years to build a first-of-its-kind research laboratory to advance next generation geothermal technologies. As part of the company’s management team, the Vice President Sales will work to develop and commercialize the company’s “ECO2G” geothermal well retrofit technologies. The Vice President Sales is responsible for building a steady stream of profitable retrofit construction contracts. For more information contact Joseph Scherer, CEO, joseph.scherer@greenfireenergy.com or 888-320-2721. The International Renewable Energy Agency (IRENA) is an inter-governmental organisation mandated with the widespread and increased adoption and sustainable use of all forms of renewable energy. The Associate Programme Officer will work under the direct supervision of the Head, Partnerships and Technical Advisory Services and the overall guidance of the Director of the Country Support and Partnerships Division. The incumbent will be provided guidance through individual meetings with the supervisor, team meetings and through periodic performance reviews and appraisals in accordance with the established policies and procedures of IRENA. 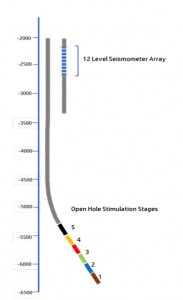 Stimulation of the 6.4 km OTN-III well at the st1 Deep Heat project in Espoo, Finland began on June 4, 2018 and continues to the present time. There are 5 stages of packed-off, ball-operated hydraulic-stimulation equipment along the uncased bottom 750 m of the well. About 10,000 cubic meters of drinking-quality water have been injected via 3 of the 5 stages, with pumping currently occurring on stage 4. The engineering calculations provide a target volume of 18,000 cubic meters of water across the five stages for an economic return. 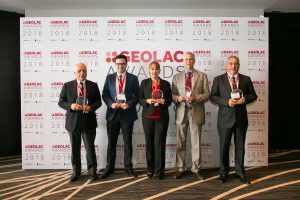 The Geothermal Congress for Latin America and the Caribbean (GEOLAC), the largest annual gathering of the regional geothermal market, today announced five winners for its first annual GEOLAC Industry Awards. The winners were recognized on stage at the 5th GEOLAC in Mexico City. 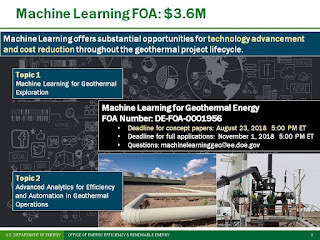 The Geothermal Technologies Office (GTO) and GTO Director Dr. Susan Hamm hosted the third installment of quarterly updates on July 19, 2018. The full, recorded WebEx is available online on the GTO website. Check it out, and please share with those who might have missed it. Innovative technologies promise to provide goods and services better, cheaper and in ways never envisioned before. But often these technologies are ahead of the regulatory curve and stumble because the regulatory environment is designed in ways that exclude them. One example is geothermal energy for distributed electricity production. Geothermal energy – broadly described as the natural heat of the Earth – is renewable, controllable and clean. Distributed generation – small-scale electricity production at or near where the electricity will be consumed – is reshaping how the world thinks about electricity grids. Both are relative novelties in Alberta. Taupō's natural hot springs provide energy for around 50,000 domestic homes, but there is a valuable mineral in the murky pools that goes to waste. Now, at Ohaaki Power Station, they've built a brand new plant to extract the silica from geothermal fluid. In a world first, the boiling liquid is rapidly cooled and the silica is removed through state of the art filters. Developing sustainable energy sources is critical to meet Indonesia’s increasing power demand. The country has 40% of the world's geothermal resources. Development of these resources will help diversify the country's energy mix to meet the demand and its commitment to reduce 30% of its carbon dioxide emissions by 2030. While the Indonesian government is improving its geothermal program to attract more investors, development partners like the Asian Development Bank (ADB) are helping mobilize financing from public and private sectors to develop these resources. A general overview the the EGS Collab project taking place at the Sanford Underground Research Facility in South Dakota. In early 2017, the Department of Energy’s Geothermal Technologies Office (GTO) funded National Laboratories to focus on GTO’s vision for longer-term, transformational enhanced geothermal systems (EGS). The objective of this Lab Call is to establish a collaborative experimental and model comparison initiative - the EGS Collab. The United States Energy Association (USEA) is inviting prospective organizations or individuals through this Request for Proposal (RFP) to submit proposals for two trainings for geothermal drilling operations; one on principles of cementing and one on fishing operations. This is an activity implemented by USEA, funded by the United States Agency for International Development (USAID) as part of the Power Africa Initiative. Questions regarding this RFP are due by 17:00 hours EDT on Wednesday, July 25, 2018. Please send all questions via email to Ms. Caity Smith, Senior Program Coordinator, at csmith@usea.org. Responses to all questions will be sent to all parties and posted on the USEA website no later than Friday, July 27, 2018. Proposals are due by 17:00 hours EDT of the closing date. Please forward your proposal in soft copy (PDF form) to Ms. Caity Smith, Senior Program Coordinator, at csmith@usea.org. In the wake of the Fukushima nuclear disaster the Japanese government introduced new policies to accelerate geothermal power plant deployment. These included streamlined procedures for the approval of projects in national parks and, crucially, a new higher feed-in tariff (FIT) for small geothermal plants to more than one-and-a-half times of that of larger facilities. This made it profitable to build plants with an output below 7.5 MW, which do not require environmental impact assessments and can be built in around half the time of larger plants. These policies have not been unopposed. More than half of the geothermal sources are located around national parks or near the country’s 27,000 thermal springs that onsen rely on for their hot water supply. Critics believe that geothermal projects will adversely affect water supply or quality, or that the plants will have a detrimental impact on hot spring resorts or national parks. As a result, an important role of the small-scale geothermal plants built since 2012 has been to work closely with onsen operators, hotels and inns to prove that small-scale geothermal power generation can coexist with tourism facilities, without negatively impacting Japan’s natural beauty. Geo40, in cooperation with Contact Energy and the Ngati Tahu Tribal Lands Trust, is this month set to start commercially extracting silica from geothermal fluid as part of a world-leading sustainable energy partnership. The operation will see Geo40 use its technology to extract silica from geothermal fluid used at Contact’s Ohaaki power station. Once extracted, the silica will be sold to manufacturers for use in everyday consumer goods, such as paint, providing an environmentally-sound source of silica that would otherwise require amounts of carbon-intensive energy to make. The potential volume of high grade silica that will be sourced from Ohaaki is up to 10,500 tonnes a year, most of which will be exported overseas. Construction of power plants at the Menengai Geothermal Project in Nakuru County is set to begin by September this year following the entry of an Independent Power Producer. Quantum Power East Africa becomes the first IPP to go into generation of 35 megawatts of power after a financing agreement with the African Development Bank. The bank is funding Quantum Power East Africa to the tune of Ksh 4 billion for the construction of a power plant that will generate 35 MW. Ministry of energy and mineral resources (ESDM) has again assigned state-owned electricity company (PLN) to manage three working areas of geothermal (WKP). Oka Ile Ange (10 MW). Previously, PLN had been given permits to manage eight geothermal working areas viz. WKP Mataloko 22.5 MW, Atedei 10 MW, and Ulumbu 50 MW in East Nusa Tenggara; Songa Wayaua 10 MW in North Maluku; Mount Tangkuban Perahu 60 MW in West Java; Tulehu 2x10 MW in Ambon; Ungaran 55 MW in Central Java and Kepahiang 110 MW in Bengkulu. Paul Masters and Conrad Beighton of Leonard Curtis Recovery Limited as Joint Administrators of Green Energy Geothermal International Limited and Green Energy Geothermal UK Limited (both in Administration) have appointed Hilco Global and Hezy Ram of Dormin Inc. to actively seek interested parties with regards to the sale of the business and assets of the Companies and their shareholdings in related Group entities. The Green Energy Geothermal Group (GEG) specializes in the design, construction, operation and maintenance of geothermal power plants. GEG’s bespoke, patented technology enables it to rapidly construct geothermal power plants in a fraction of the time required by traditional means. GEG enables developers, independent power producers and state-owned utilities to significantly shorten the time between exploration and revenue generation, achieve accelerated returns on investment and lower project risk. Being modular in design and based on pre-fabricated modules, GEG’s solutions can easily be scaled up.